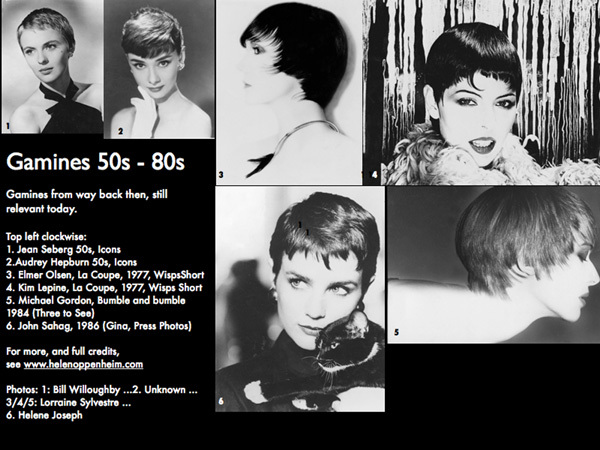 Home » Posts Tagged "Gamines"
Remember the gamines of the fifties – Jean Seberg, Audrey Hepburn, Lesley Caron, Zizi Jeanmaire. Well, here are gamines from the 50s to the 80s. They haven’t dated and are as relevant today as they were then. Clockwise, top left – Jean Seberg (50s), Audrey Hepburn (50s), Elmer Olsen, La Coupe (1977), Kim Lepine, La Coupe (1977) , Michael Gordon, Bumble and bumble (1984), JohnSahag (1986.) 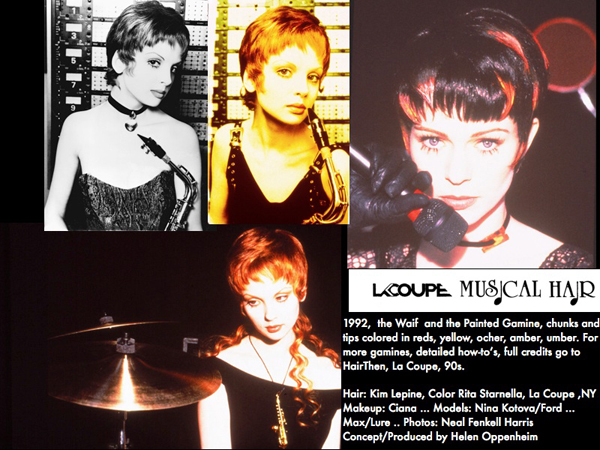 For more and full credits, go to Icons … HairThen, La Coupe Wisp Cuts Short … HairThen, John Sahag Press Photos …HairThen, Three to See. Photos: Bill Willoughby, Unknown, Lorraine Sylvestre x 3, Helene Joseph.